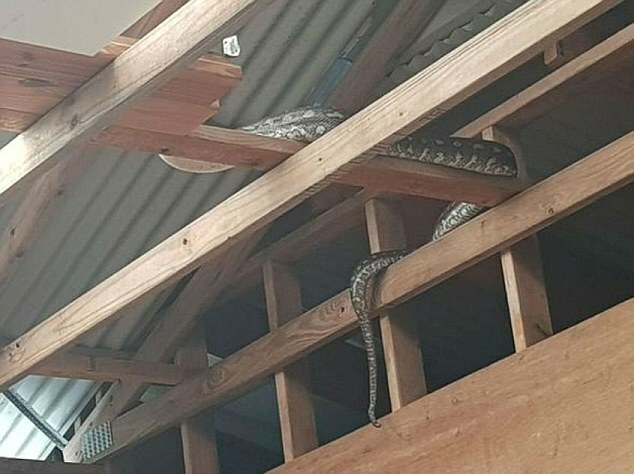 A man couldn't hide his fear after he caught a snake climbing onto the roof of his house to find a home there. 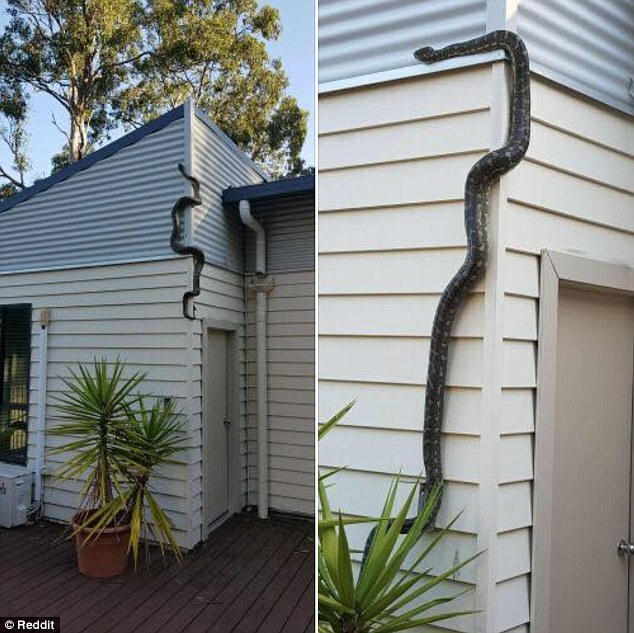 A homeowner has shared terrifying pictures of an enormous snake slithering up his property trying to find a home there. According to myGC Australia, the huge python stretching three metres could be seen slithering up the outside wall of the Australian home. 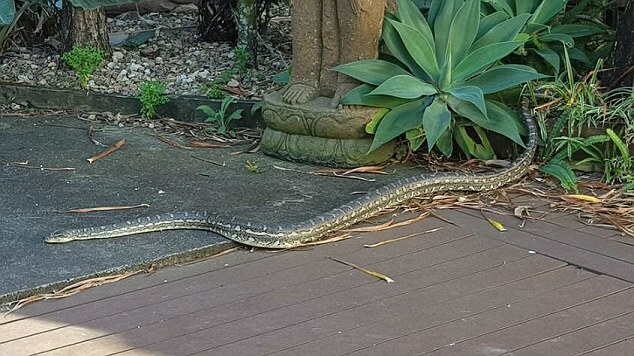 Gold Coast man Robbie Knills was hanging out his washing when he noticed the massive python on the ground of his Mudgeeraba property. Mr Knills told myGC that the python often comes to out to say hello and had been living on his roof for about six months. After watching the snake slither along the backyard, Mr Knills was shocked to learn how quickly it could climb the walls of his property. 'I didn't know they could climb houses like that – five minutes later and I would have got the scare of my life,' Mr Knills said. Mr Knills said he was glad he was the one putting the washing out as his wife would never do it again if she had seen the python climbing the home. He said he was initially scared of the snake but has become quite fond of it as it harmlessly hangs out and watches Mr Knills work in the shed. 'I don't trouble him and he doesn't trouble me,' he said.